Hey my lovely readers! 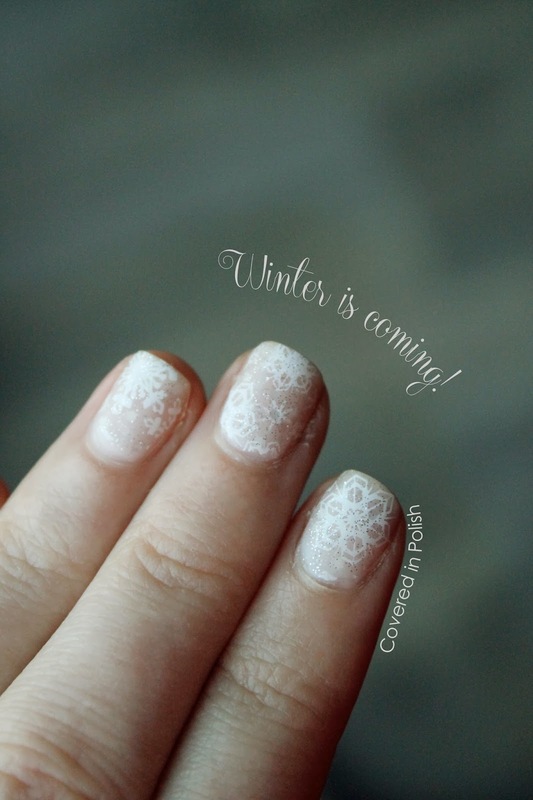 Today I took a little break from the challenge - which I still didn't finish - to paint my nails more 'wintery'. So here's my Snowflake Jelly Sandwich! Isn't this cute? 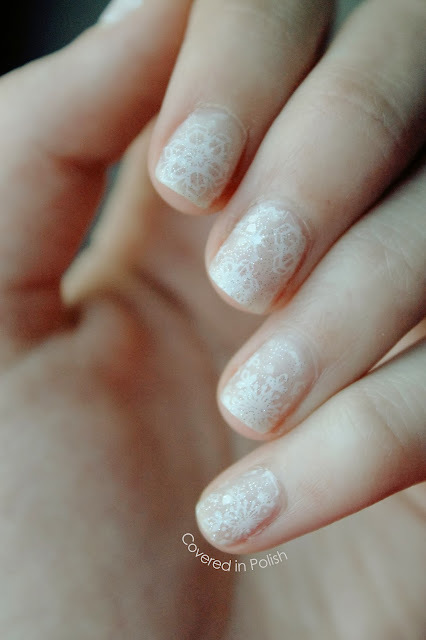 It is so subtle and sweet yet so wintery! I didn't want it to be much of a Christmas manicure, we celebrate Sinterklaas before Christmas, so I think that's a little early. But the Xmas nails are definitely coming! For this manicure I sandwiched OPI - Pirouette My Whistle between Catrice - Cotton Candy At Eiffel Tower. I stamped the snowflakes with Essence - Stamp Me! White and used plates BM-323 & BM-H02. I had fun doing these, but from now on I only do manis for the challenge till it ends. Do you like these as much as I do? Please leave a comment below!